Anyone Else a Fan of Notice & Note? It goes without saying that teachers want their students to be attentive and analytical readers of text. But how does one actually go about teaching students the process of getting there? Notice & Note has quickly become a teacher favorite, thanks to the super effective close reading techniques outlined in the book, Notice & Note: Strategies for Close Reading, written by Kylene Beers and Robert E. Probst. Essentially, there are six signposts that serve as signals for readers to closely examine literature through a rigorous, analytical lens. 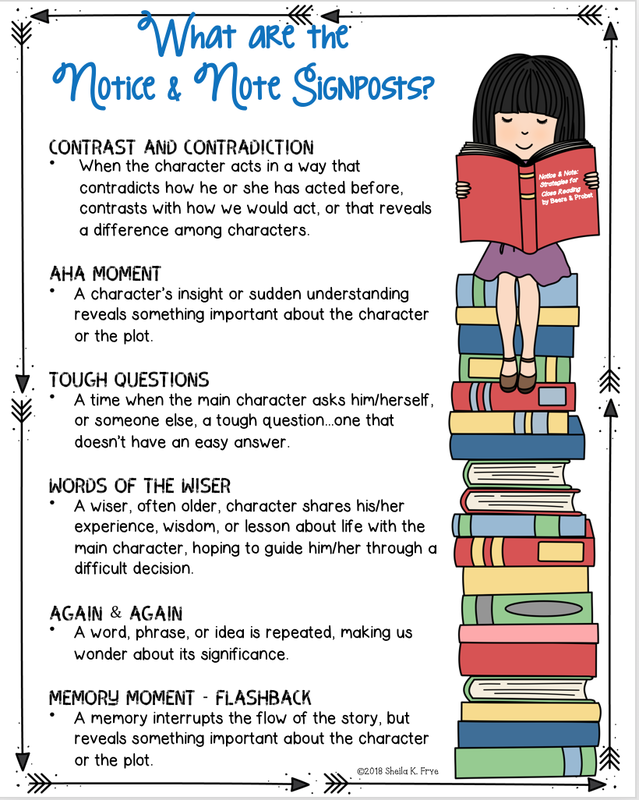 I have created several Notice & Note resources to help my students organize their thinking around this instructional approach, including Signpost Mini-Books, Sticky Notes, and Graphic Organizers. I have witnessed first hand how useful the Notice & Note model is for students tackling noteworthy texts with a critical eye. I hope you find these resources useful!